I am tempted – and perhaps all of us in the U.S. are tempted – to allow headlines regarding tragedy in the Middle East to “go in one ear…and out the other”. There is just so much tragedy. Oftentimes, we feel overwhelmed by life’s events — whether in distant lands, or in our own homes and offices. In those times, I’m reminded of Mother Teresa’s words: “If you can’t feed a hundred people, then feed just one.” That goes for everything — clothe just one person, hug just one person — and pray, too. If you can’t possibly pray for all the suffering people in the world, pray for just one. In fact, it was only after my pilgrimage to the Holy Land, that I realized the Christians there are not just statistics. They are Johnny the tour guide with a sharp wit, Hanan the gracious relief worker, Rabab the singing English teacher. Today I received an email from Brother Stephen, who works at Bethlehem University in the West Bank. He was passing along the news that one of the university’s graduates, Hashem, a husband and father of two little girls and a boy, was killed while peacefully protesting the violence in that region. 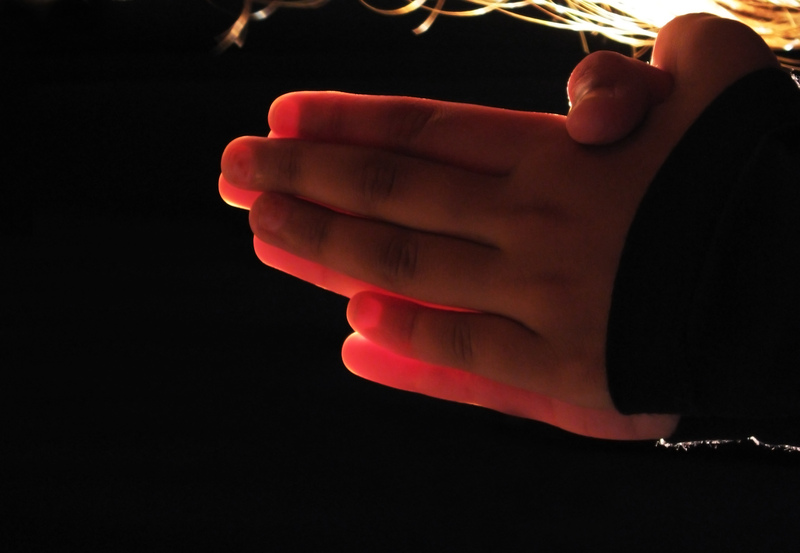 There are many stories like Hashem’s — of one person who is in need of prayer. What if we all joined together and prayed for just one person?